Do you ever wonder how you could tell your brand story and connect with your target audience in a more interactive way than usual? A more immersive one? Now you can do exactly that – Facebook has rolled out 360 photos, a new feature that takes followers into your world and drives engagement. What are 360 Photos and Why Use Them? 360 photos are an innovative way to grab your audience’s attention, increase reach, and drive engagement and conversion. They are spherical, panoramic photos that allow viewers to see the scene from every angle, almost as if in the photo themselves. 360 photos enable you as a business to tell your brand story, to share behind-the-scenes moments and authentic experiences with your target audience. The factor of newness may also contribute to the fact that viewers interact with 360 photos almost 7 times longer on average than with regular photos. As compelling and difficult to create as they may seem, 360 photos are actually fairly easy to make. 360 photos can be uploaded just like regular photos. A piece of cake for anyone. They can be viewed in Facebook News Feed both on the web and on mobile devices, either by manipulating the view with a mouse or finger, or just by moving the mobile device around. What’s more, they can also be viewed in VR (Virtual Reality) using a Gear VR or Oculus Rift, bringing an even more authentic and immersive experience. Place your followers in the centre of the action, make them experience the moment. They’ll love being there with you! Arrange the scene and “fill” the photo. Since this is a 360 photo, be aware of not only what’s in front of you but also around you to avoid any disturbing elements in the picture. Also make sure to fill every angle of the 360 photo with something to see and explore. Think it through, including the grab of the camera. If you put the camera on a table, the picture will show mostly the table. The device itself is usually not visible, but with the use of a stand or a selfie stick, it may get a bit awkward. If you’re inside, try hanging the camera on a transparent thread. This will be invisible, and you’ll get rid of distracting elements. 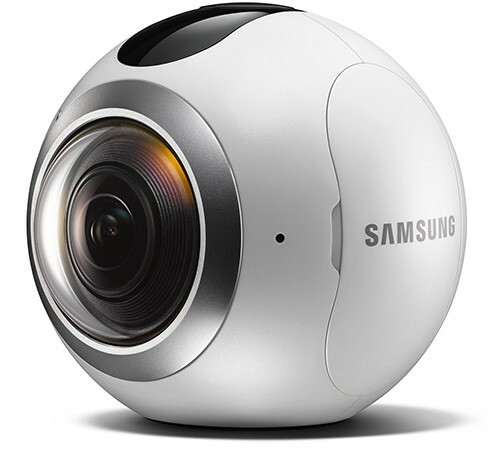 Keep in mind that the 360 camera has one main point of view, which is the centre of the panorama. This will be the thumbnail you’ll see first on social media. Know your audience and what makes them tick. Choose attractive and authentic moments to create compelling stories that instantly catch the eye. Make it the kind of thing people will want to share with others the moment they see it. Besides sharing behind-the-scenes moments, you can take your followers on a virtual tour of your office, share the atmosphere from your events, or give a glimpse of your casual days, special occasions, holidays, and everything in between. Enable your followers to experience those moments with you, bring them closer, and make them fall in love with your brand. Specific cases include shops creating virtual 360 stores or showrooms, home designers and clothes designers immersing clients in their vision, event and travel agencies as well as real estate companies giving customers a taste of their services and products. The list could go on. You can use 360 photos to build closer relationships with your target audience and increase their engagement whatever your business is. The boundaries are only those of your imagination so dare to play with it! 360 photos are an innovative feature that creates new opportunities for creativity, expression, and building your brand image. They can increase your reach, engagement, and conversion and enrich your content marketing. Join the Facebook 360 Community Group to explore the medium and share experience, tips, and tricks with other users. We love being the first to try and explore new interesting features such as 360 photos so come and join us on the way! With Kontentino, you can easily plan and approve your social media posts, including those with 360 photos. If you haven’t done so yet, try Kontentino now and get one month for free!